For centuries, artists and designers have looked to nature for inspiration and for materials, but only recently have they become able to incorporate living organisms or tissues into their work. This startling development at the intersection of biology and design has created new aesthetic possibilities and helped address a growing urgency to build and manufacture ecologically. 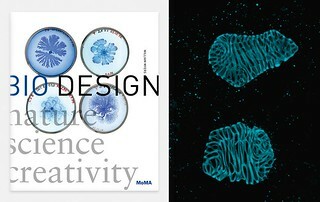 Bio Design: Nature + Science + Creativity, by William Myers, a New York-based design writer and design history teacher, surveys recent design and art projects that harness living materials and processes, presenting bio-integrated approaches to sustainability, new innovations enabled by biotechnology, and provocative experiments that deliberately illustrate the dangers and opportunities in manipulating life for human ends. The first publication to focus on this new phenomenon and closely examine how it fits into the history of architecture, art, and industrial design, this volume contextualizes the shift toward bio design through comparisons to previous transitions in art and design practice, clarifying its implications for the future.